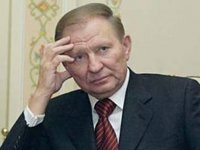 Ukrainian representative in the Trilateral Contact Group (TCG) Leonid Kuchma has said he believes that Russian Foreign Minister Sergei Lavrov was emotional when he declared a pause in the "Normandy format" activity after the killing of the head of the self-proclaimed Donetsk People's Republic (DPR), Alexander Zakharchenko. "Lavrov said the word and took it back. Other politicians, both in Russia and Europe, say different things. So to say, he was emotional, nothing will happen. There will be no change in the condition of the Donbas [negotiating] process," Kuchma said on the sidelines of the Yalta European Strategy (YES) meeting organized by the Victor Pinchuk Foundation in Kyiv.